For Android phones and pads, Nook, Kindle, laptops, desktops — any device that can display PDFs. 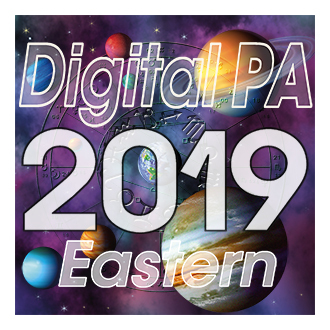 The Digital Pocket Astrologer 2019 is a PDF version of the pages for iAstroDaily 2019 . It has been modified to a taller format more suitable for Android phones and pads. 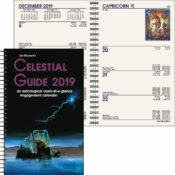 Not for printing—it is a digital version of the Celestial Calendars for any device that can display PDFs. 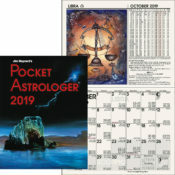 Digital Pocket Astrologer includes all of the information in the Celestial Calendars including void of course Moon, ingresses, the lunar cycle, planetary aspects, an ephemeris, asteroid ephemeris, a chart and table of planetary motions and stations, eclipse information, planets visible in the morning or evening, Chinese New Year, most visible meteor showers, phases of the Moon, perigee, apogee, occultations, Sunrise/Sunset, and table of ascendants. All pages can be zoomed. 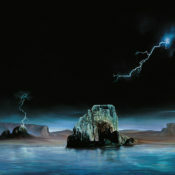 Descriptions are included for the Signs, Planets, Moon through the Signs, Aspects, Moon void-of-course, the Lunar Cycle. Also, a full 2019 calendar on a single page is included. 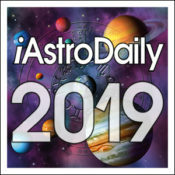 In iAstroDaily 2019 rotating the iPhone displays a monthly calendar showing retrograde periods. While the PDF version doesn’t work that way, it does include monthly calendars that show color-keyed bars through days indicating planets that are retrograde. 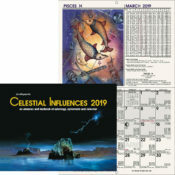 The 2019 includes the monthly calendar pages for January through April 2020. Digital Pocket Astrologer is two files. 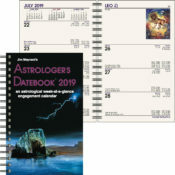 One file contains just the the monthly calendar pages (available in either Pacific or Eastern Time — Order the Pacific Time version here). The other file includes all other pages; descriptions of planets, aspects, ephemeris, Table of Ascendants, Sunrise/Sunset, 2019 Phenomena, etc. Your email address is the password. After placing your order, we will prepare your personal copy and send you an email receipt for your order that will include links to download your files. Load the two PDFs onto any device that can display PDFs. SKU: 2019DPA-E. 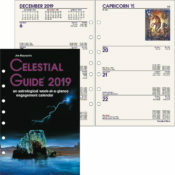 Categories: 2019 Calendars, Current Calendars.